A couple of miscellaneous notes. 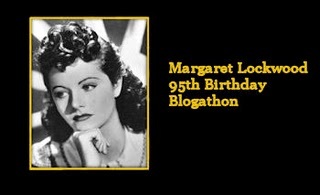 Add another fun blogathon to the pantheon: Terry of A Shroud of Thoughts is hosting a 95th birthday bash for British actress Margaret Lockwood on September 15th. I’ve signed up to submit a post for this event, and am planning to write a review of the 1943 film The Man in Grey, in which Lockwood co-starred with James Mason and Stewart Granger. If you’re a Lockwood fan, make sure to sign up to participate in this great tribute! 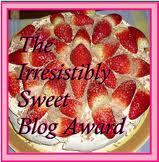 Also, we’d like to thank Clara at Via Margutta 51 and Rianna at Frankly, My Dear for tagging us for the Irresistibly Sweet Blog Award. Since pretty much every classic movie blogger we know and adore has already been given this prize, we’re not going to worry about tagging other folks. Our favorite reads are always listed in the sidebar under the heading “Fellow Film Fanatics,” and we wholeheartedly recommend each and every one of ’em! Sure, I remember her pictures, it would be nice to see them on Turner Classic movies in honor of her Birthday.